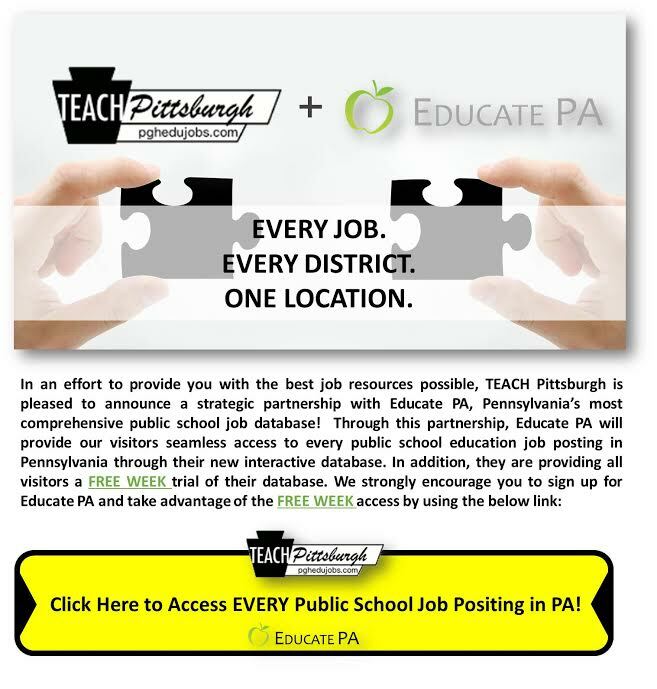 TEACH Pittsburgh is proud to offer you access to every public school teaching position in Pennsylvania through our partnership with Educate PA. Try Educate PA FREE for one week! TEACH Pittsburgh: Find Education and Teaching Jobs in Pittsburgh and Western Pennsylvania. Through our partnership with Educate PA, visitors have access to teaching job vacancies for every school district in Pennsylvania. We also provide you updates on private school, charter school and intermediate unit postings!